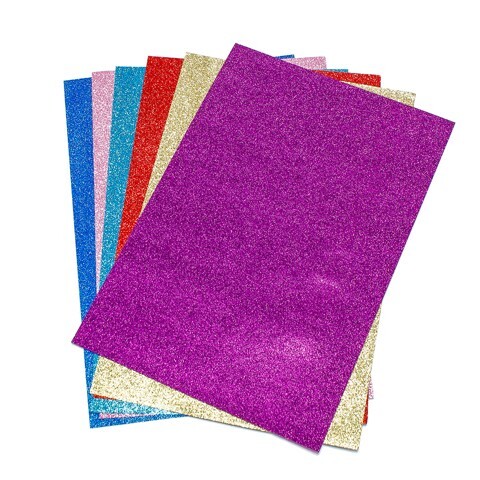 Glitter Paper 150Gsm 6Sht. 20 x 30cm. 6 Colours per Pack: Gold | Red | Dark Blue | Light Blue | Pink | Purple. Paper. 150G Packaging: OPP Bag with Colour Insert.